What makes a great beach bar? Killer ocean views, sunset exposure and a creative menu from which, for once, you don’t have to feel ashamed about drinks that come in coconut shells garnished with pink umbrellas. In Hawaii, though, perfect beach drinkeries also have to be imbued with that distinctive mahalo spirit. 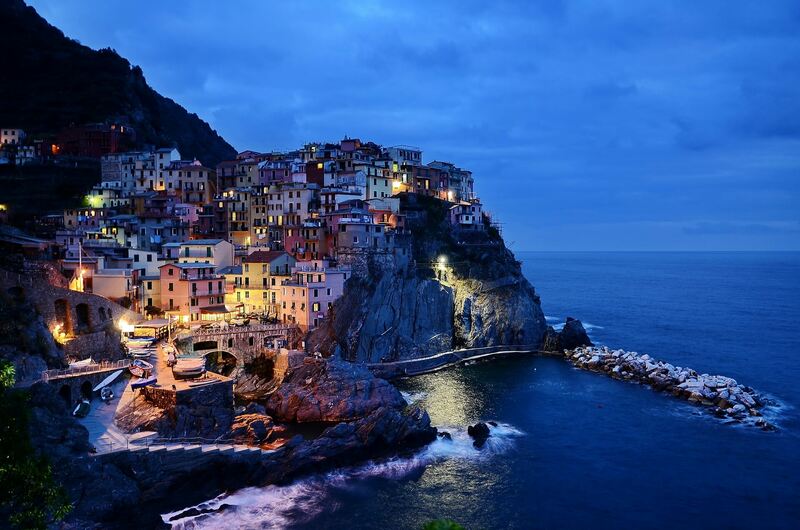 These 10 waterfront watering holes have all that, and then some. Can your favorite bar do this? With unobstructed views of Diamond Head and Waikiki Beach, Sheraton’s Edge of Waikiki bar sits on the edge of an infinity pool. 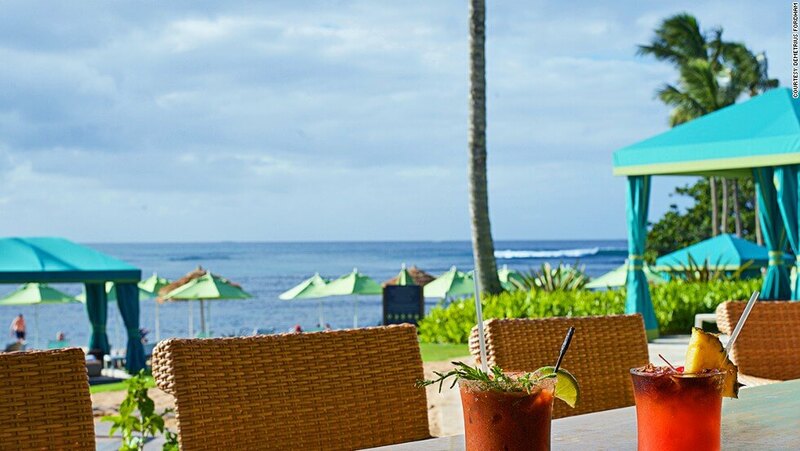 Every morning between 10 a.m. and noon, bartenders serve $3 draft beers and $7 cocktails; in the afternoon, there’s live acoustic music and umbrella-topped pina coladas. At the Four Seasons Maui’s Serenity Pool Bar, mai tais are served inside of pineapples on request. Purple things with mint leaves are good, too. 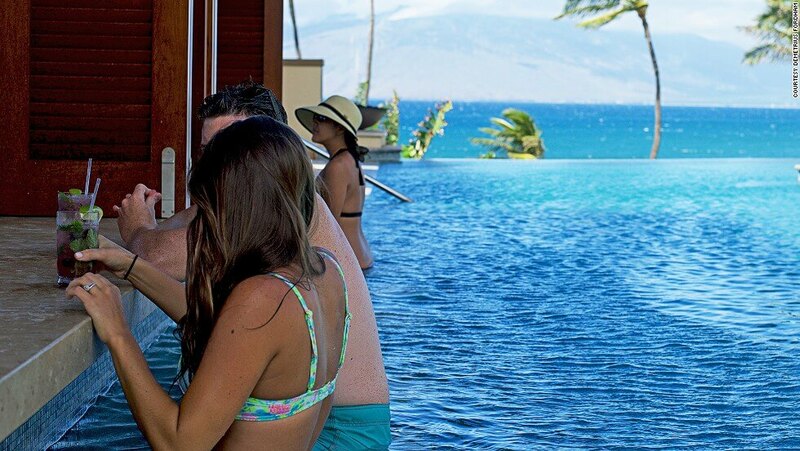 It’s on the edge of a 120-foot infinity pool — it’s also located beachfront, directly overlooking Wailea Beach. 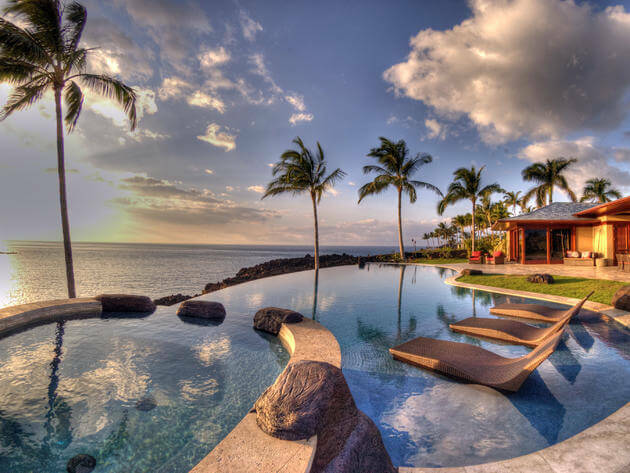 An ocean-facing terrace with lounge chairs offers views over the West Maui mountain range and the island of Lanai. 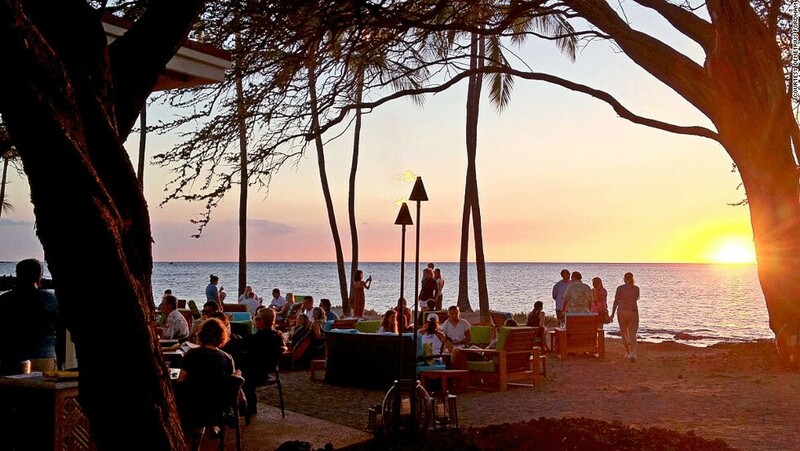 Located on the sands of Kumukea Beach on the Big Island’s Kona-Kohala coast, the Beach Tree Bar is good for sunset cocktails and turtle-spotting — sometimes simultaneously. Though the thatched-roof bar has an informal vibe, it’s got a sophisticated beer and wine menu (more than 60 wines by the glass) and 19 cocktails, including the popular limoncello-pear concoction that’s the signature Beach Tree Smash. Quite possibly the only true beach bar on Kauai’s north shore, Nalu Kai pairs barefoot appeal with strong drinks and views over Hanalei Bay, Pu’u Poa Beach and Bali Hai. At St. Regis Princeville Resort’s Nalu Kai, drinks are made with fresh juice from local fruit like lilikoi and lychee. 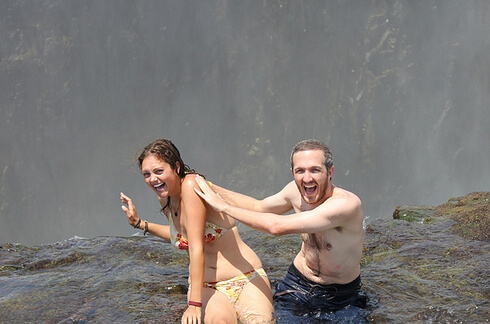 Bumbye Beach Bar is mere steps from Mokapu Beach on Maui’s southwest coast. 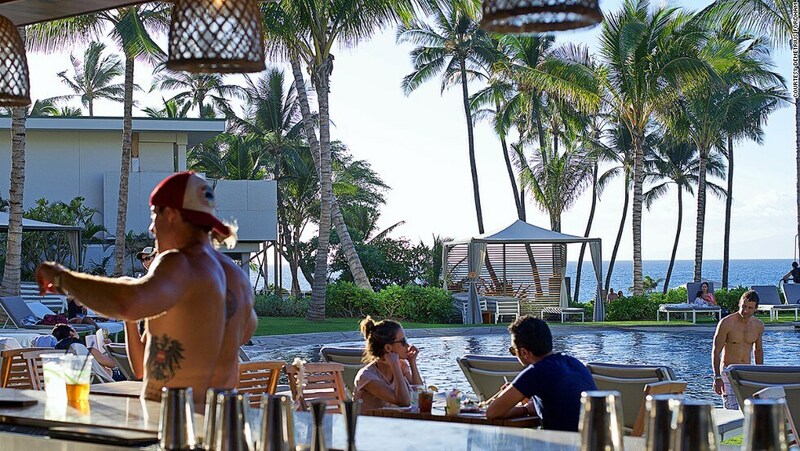 Its beechwood exteriors, surf-inspired art and artisan cocktails attract a largely young clientele, mainly guests at the Andaz Wailea. The signature Honua’ula cocktail, a mix of Amaro, tequila, rum, pineapple and lime, is a crowd favorite. 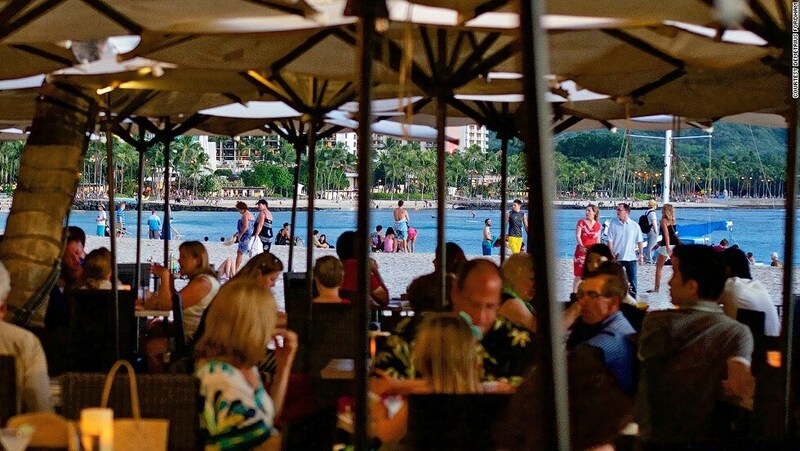 Located on North Ka’anapali Beach, the lower-key Maui outpost of Duke’s Waikiki is an easy stroll from Black Rock, but far enough away from the Whaler’s Village beach bar crowds to feel somewhat secluded. 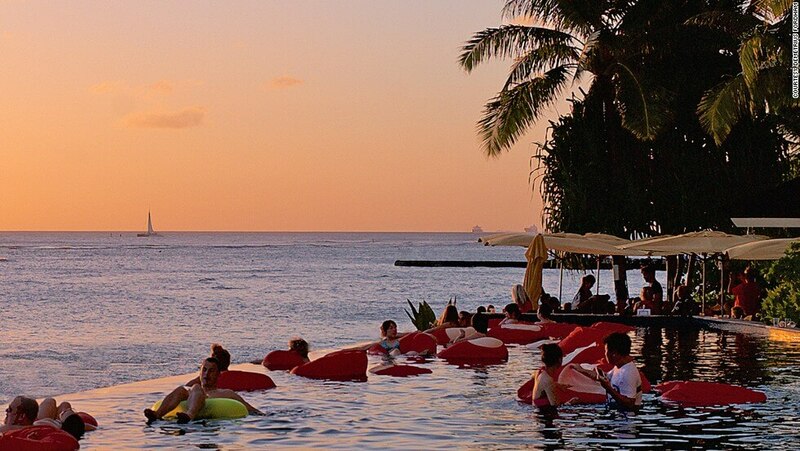 Don’t let the Maui sunset distract you from a more pressing concern – last call for happy hour. From 3 pm until sundown, drinks are half price. 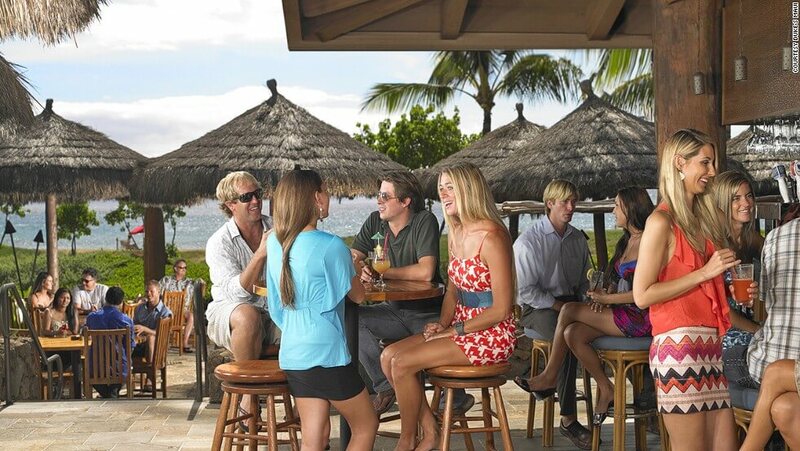 Just 15 minutes from Lihue Airport, this Kapa’a coast bar is perfectly situated for a pre- or post-flight drink. 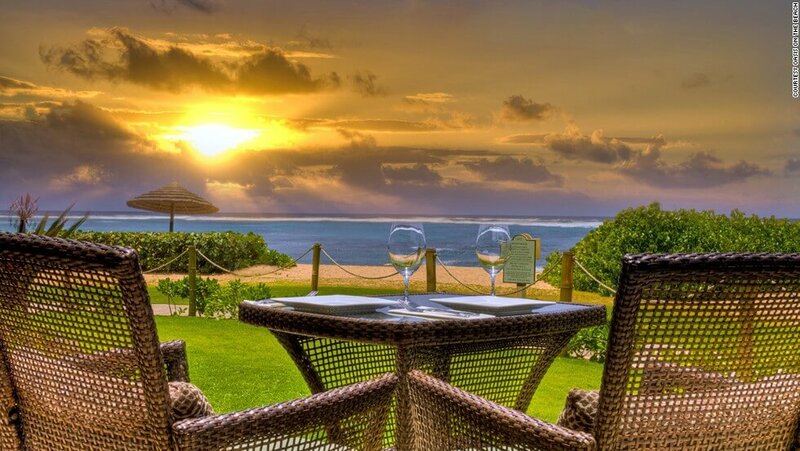 Its outdoor dining deck overlooks the long expanse of Waipouli Beach, and the bar menu is large and interesting. Popular drinks include macadamia hot-buttered rum with cloves, and the spicy Thai martini. On Wednesday evenings the entire bar menu is half price. Sheltered beneath the sprawling branches of a century-old kiawe tree behind the Halekulani’s orchid pool, House Without a Key feels tucked away despite its central Waikiki Beach address. 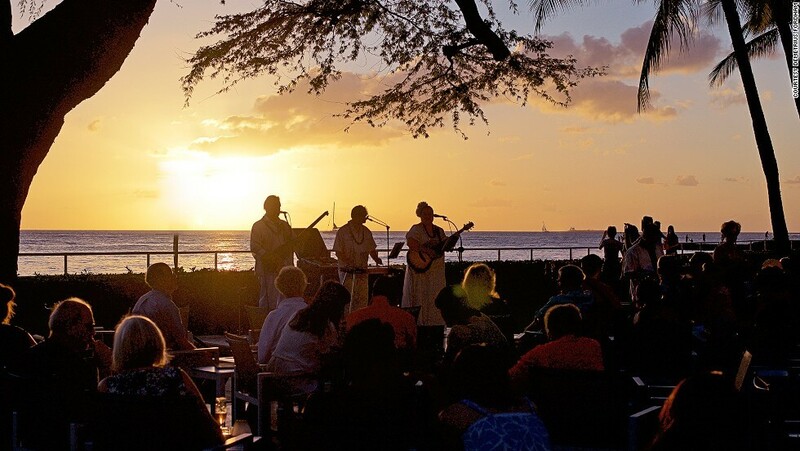 Each night on a small, oceanfront stage, live Hawaiian music is paired with traditional hula dancing performed by former Miss Hawaii winners as the sun sets over Waikiki. The signature cocktail is a mai tai — more than one call it the best on the island — served over crushed ice and a sugarcane stick, and garnished with a mint leaf and a Vanda orchid. Lava Lava might be your textbook Hawaiian beach bar — tiki torches, swaying palms, hula dancing and a live band — but its kitschy charm works. 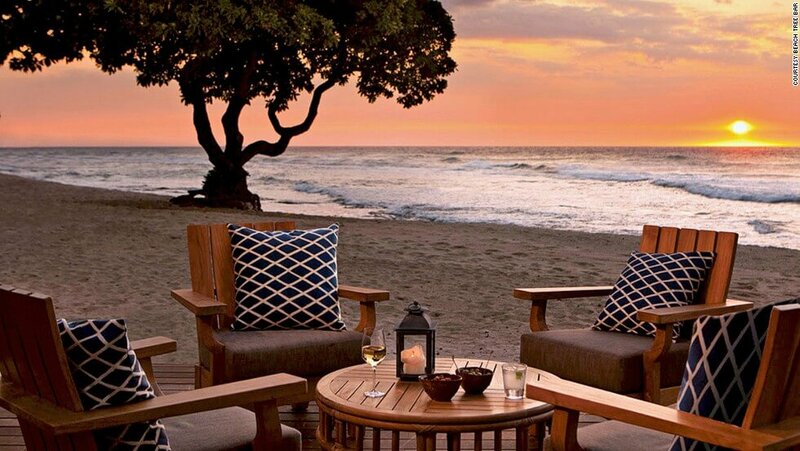 The location helps — it’s on quiet Anaeho’omalu Bay on the Big Island’s northwestern coast. Heather Graham and Ellen DeGeneres (for whom a cocktail has been named) are said to frequent the Waikiki Beach institution that is the Mai Tai Bar. A contemporary Hawaiian musical trio plays six nights a week. Their sunset rendition of Israel Kamakawiwo’ole’s “Over the Rainbow” is predictable but never tired.